The Tochigi town of Nikko (日光) is one of the most popular weekend getaways for residents of Tokyo and a nationwide sightseeing heavy hitter in its own right. Accordingly then, the methods and costs of getting there from Tokyo and getting around are myriad. In fact, the town of Nikko is just the start of things to come for visitors to this part of Japan as it acts as the gateway to Nikko National Park, home to the much celebrated Lake Chuzenji, Yumoto Onsen and the endlessly photographed Kegon Waterfall. Not that you have to venture into the national park to ‘do’ Nikko. The town itself boasts several attractions most notably Toshogu Shrine, resting place of the Tokugawa Ieyasu the original shogun of the Tokugawa Shogunate. It’s among the flourishes carved into Toshogu Shrine that you’ll find the famous ‘see no evil, speak no evil and hear no evil’ monkey figures. 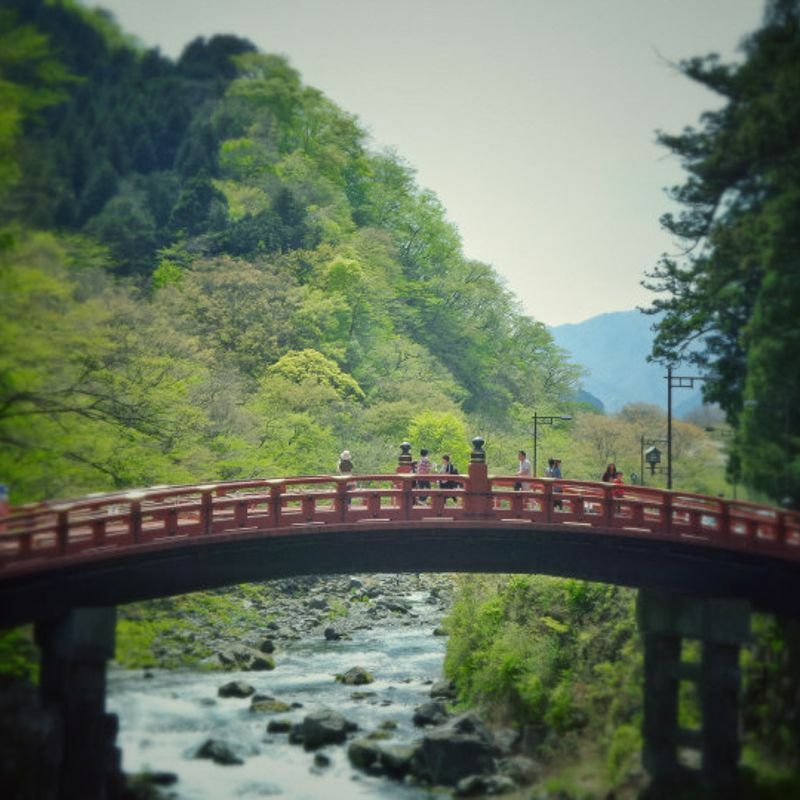 Also in the town of Nikko, photographers can get their own snap of one of Japan’s most iconic images, that of the bright red, World Heritage-listed Shinkyo Bridge. It’s easy to underestimate the size, the volume of attractions, and the time required to visit Nikko from Tokyo. The area is often mentioned as a possible day trip from the capital. 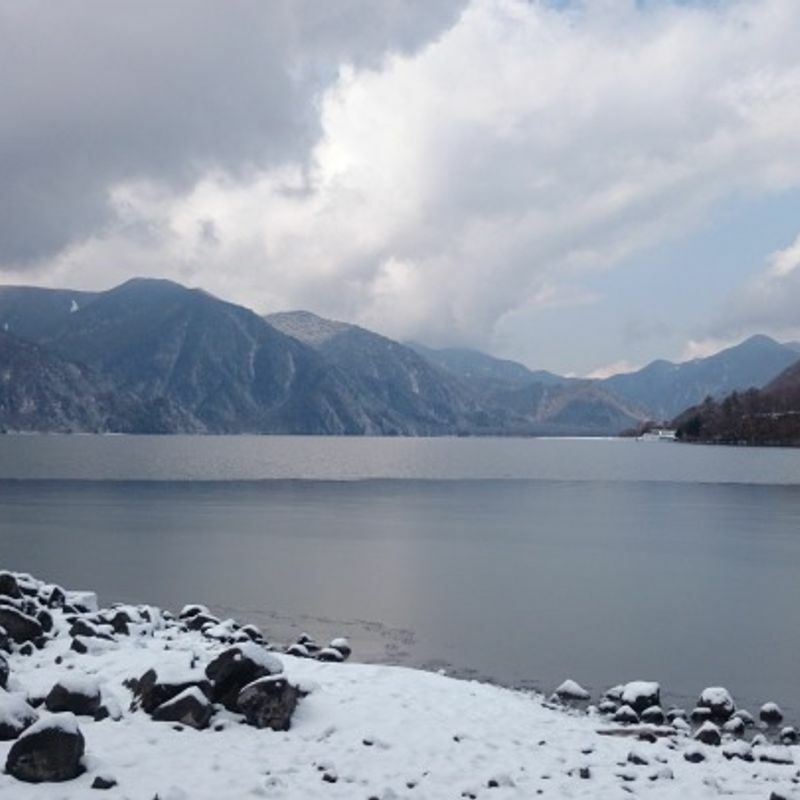 While this is indeed possible, a day trip to Nikko will mean spending a lot of your time on public transport and leave you pretty exhausted when you do eventually get back to your Tokyo base. Overnight stays are highly recommended. There are two train operators with services connecting Tokyo to Nikko; Japan Railways (JR) and Tobu Railways. The change at Shimo-Imaichi is an easy one, just go to the other side of the platform and board the local Tobu Nikko Line (for Tobu-Nikko) which will likely be along on one or two minutes. It’s about an 8-min ride to Nikko. Tobu services terminate at Tobu-Nikko Station, a few meters from Nikko Station. Getting to Nikko on local trains will save money but not time. There are limited services from Shinjuku to Tobu-Nikko Station, a joint operation between JR East and Tobu. There is a daily departure from Shinjuku (7:30 am) arriving at Tobu-Nikko at 9:28 am. During peak travel season there is another departure at 8:00 am. There are further departures from Shinjuku requiring a change at Shimo-Imaichi. Fares are 4,000 yen. From Tokyo / Ueno / Omiya (Saitama) stations travellers can take Tōhoku Shinkansen as far as Utsunomiya and then change to the JR Nikko Line as far as Nikko Station. The following fares cover both stages of the journey departing from Tokyo Station. Journey times are around 1 hrs 50 mins. The Shinkansen name is 'Yamabiko'. The fabled Japan Rail Pass can get travellers to Nikko using the courses via Utsunomiya above, but it is not valid on trains operated by Tobu. Other passes which can cover the journey from Shinjuku are detailed with how much they cost in the table below. All will cover the Nikko, SPACIA Nikko trains to Tobu-Nikko Station. Purchasing these passes in Japan means visiting a JR EAST Travel Service Center which can be found at Narita Airport and major JR stations in the areas of coverage. Obviously the above passes are not cost-effective for trips from Tokyo to Nikko only. They should be used for more extensive travel around the respective regions. Driving from Tokyo to Nikko will likely involve getting onto the Tōhokudō (東北道), the highway that ends in the Tōhoku city of Hachinohe. Don't go that far though! You'll be turning off outside of Utsunomiya and onto the Nikko-Utsunomiya Road (日光宇都宮道路) before getting off at the Nikko Junction (日光) about 500 m from Nikko train station. Japan's highways (or expressways as they call them over here) are managed by NEXCO (Nippon Expressway Company Limited). Using their route finder, from junctions in central Tokyo to the above-mentioned Nikko junction highway tolls come out at around 4,000 - 4,700 yen. Budget around 10,000 - 15,000 yen for the rental of a simple k-car for two days with a pick up/drop off in central Tokyo. Using taxi fare finders reveals costs from Tokyo Station to Nikko Station by taxi at around 45,000 - 50,000 yen. Buses are the way to get around Nikko. The bus scene here is dominated by Tobu. If you've got the legs, you can walk to the main collection of temples and sites (including Toshogu) from the Nikko train stations. It's approximately a 2 km walk (one way). At this kind of price you can't really argue with this pass. Buy it. Use it. Don't use. It makes little difference but could be good if you're especially tired after the journey from Tokyo (although maybe you'll welcome the walking). Tobu offer a number of passes for the Nikko area. Those listed below do not cover any transport to / from Tokyo. They are for the Nikko area only. All the the passes below are valid for two days and allow unlimited bus travel between Tobu-Nikko Station and the destination as listed in the name of the pass. They are available to purchase from Tobu-Nikko Station. Are any of these Nikko passes worth it? Basically, yes. Obviously day trippers would have no use for the Yumoto Onsen Free Pass, it's too far to warrant the journey there and back. Chuzenji Onsen Free Pass, however, might be cost-effective for a day especially when you consider the regular bus fare from Nikko Station is 1,150 yen. You could use this pass to stop off and see the World Heritage sights around Toshogu before heading up into the hills to take a stroll around the Chuzenji / Kegon Falls area. Both of these passes cover buses and trains WITHIN the Nikko area (including trains from Nikko to Kinugawa Onsen). They can also get discounts on certain attractions. HOWEVER, they can't be used for discounts on tickets to the main temples (the places that you really do to Nikko for). 3 nights 4 days seems like a long time to be spending in Nikko. Perhaps most people would be better suited to the 1 night 2 days options. 3 nights 4 days seems like a long time to be spending in Nikko. Perhaps most people would be better suited to the 1 night 2 days option. To that end, using the Nikko City Area Pass (inc. 20% discount on trains to from / to Tokyo) or paying separately for trains from / to Tokyo and going with the Chuzenji Onsen Free Pass reveals a cost difference of around 2,500 yen, if using the Limited Express trains from Asakusa. This seems to us quite a significant saving. Budget travellers might want to take local trains from Asakusa to Nikko and then maybe limit themselves to the World Heritage Bus Pass. In which case a return journey with the pass would come in at 3,220 yen. Have you ever been to Nikko? Do you have any tips about getting there from Tokyo? How much did it cost and how much do you think people should budget for their Nikko trips? Let us know in the comments.